V-Moda wants to help you prevent hearing loss using their new Fader VIP by Ear Armor earplugs. They look better than your single-time use foam plugs with their metal construction and in-ear headphone design that won't make you look like you actually care about damaging your hearing whilst at exceedingly noisy concerts, clubs, racing events and even when wearing over-ear headphones. The Faders VIP don't try to block and muffle the outside world, instead they're designed to reduce and filter harmful noise levels by as much as -12dB while preserving the clarity resulting in an unmuffled, detailed hearing. 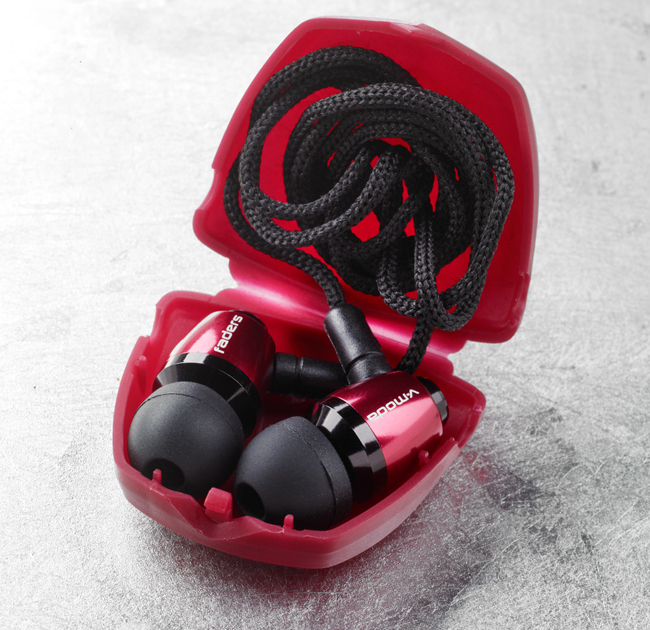 V-Moda's Faders VIP earplugs include a detachable neck cord that can optionally be screwed into the earplugs, hardshell carrying case and four sizes of BLISS 3 hybrid silicone ear tips to fit ears of all sizes. You can pick them up now in black, red and pink for $20.